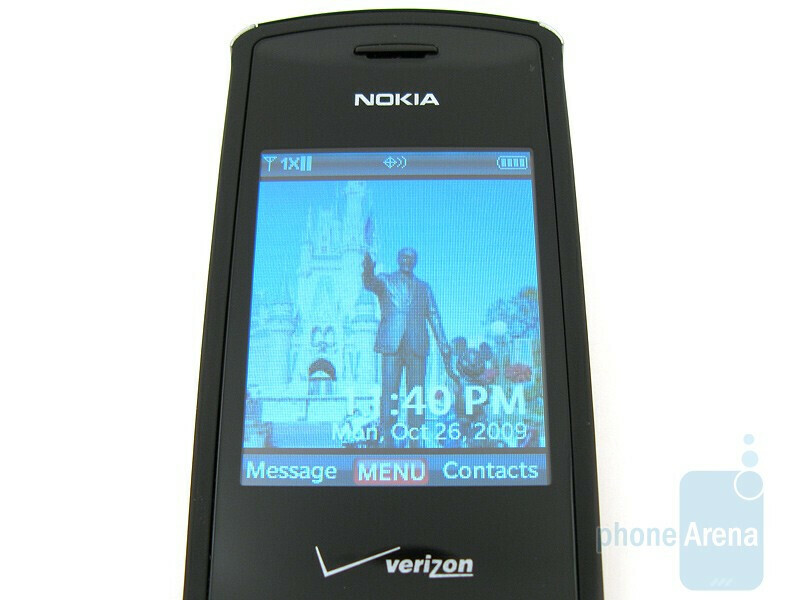 The Nokia 2705 Shade is the new stylish replacement to the 2605 Mirage, which launched December 2008. Changes include a 1.3MP camera and 176x220 resolution internal display, but other than that there is very little difference. 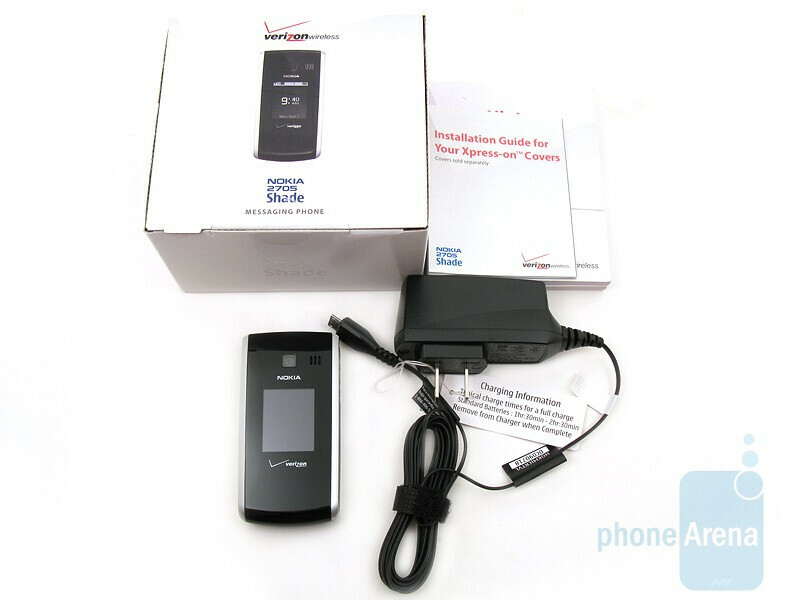 The 2705 Shade is an entry-level device and competes with the LG VX5500 and Glance, as all have comparable features. 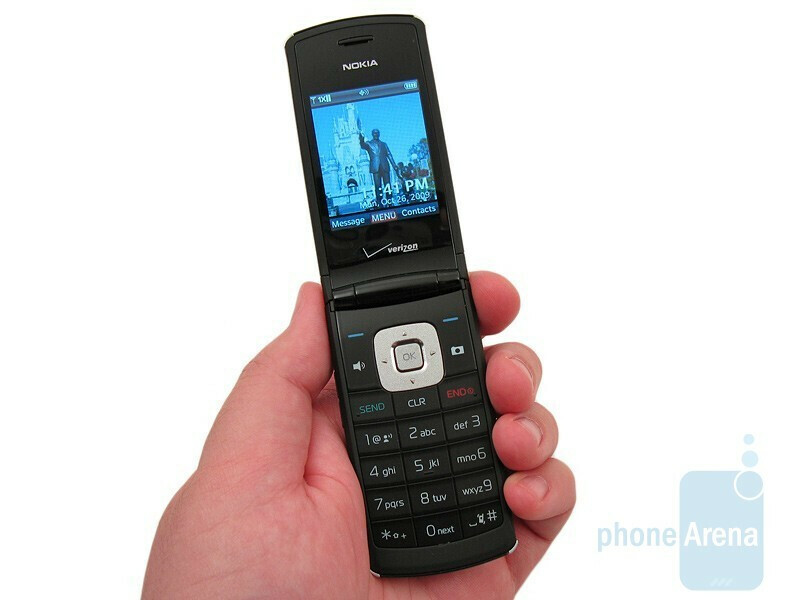 It is also available without the 1.3MP camera for those whose work doesn’t allow camera-equipped phones on premises. 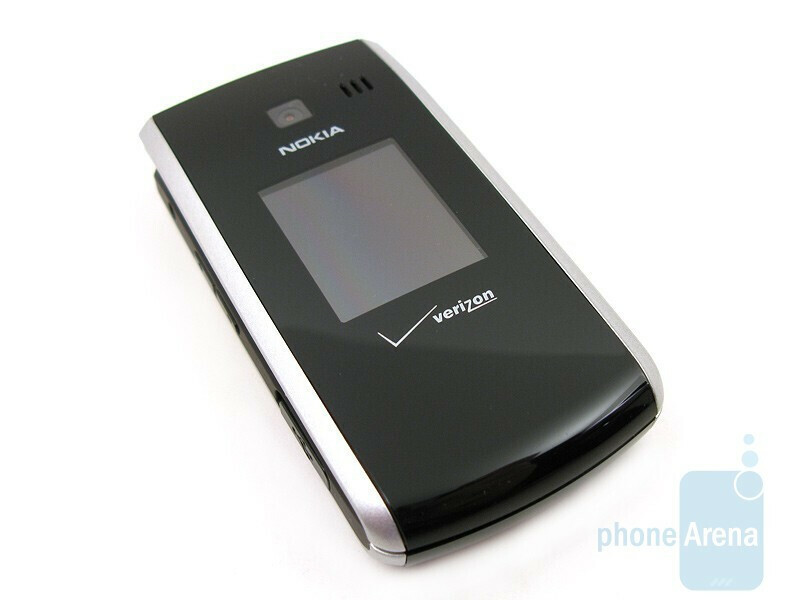 Included in the box are the Nokia 2705 Shade phone, pre-installed black Xpress-On covers, 860 mAh battery, wall charger, and user guide. 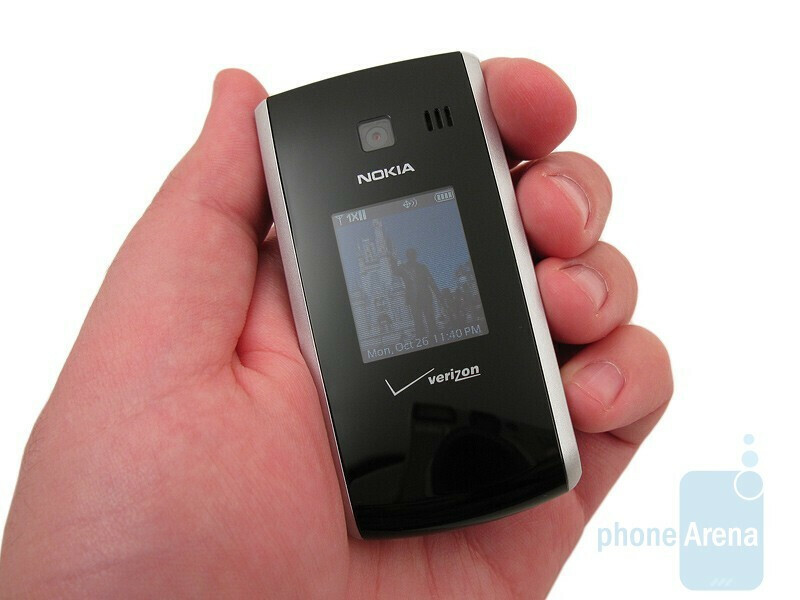 The Nokia 2705 Shade is a compact flip-phone, easy to hold and carry, and comes with two black Xpress-On covers already installed, but they are high-gloss, so fingerprints are easily shown. Other Xpress-On covers in different colors are available for purchase separately. 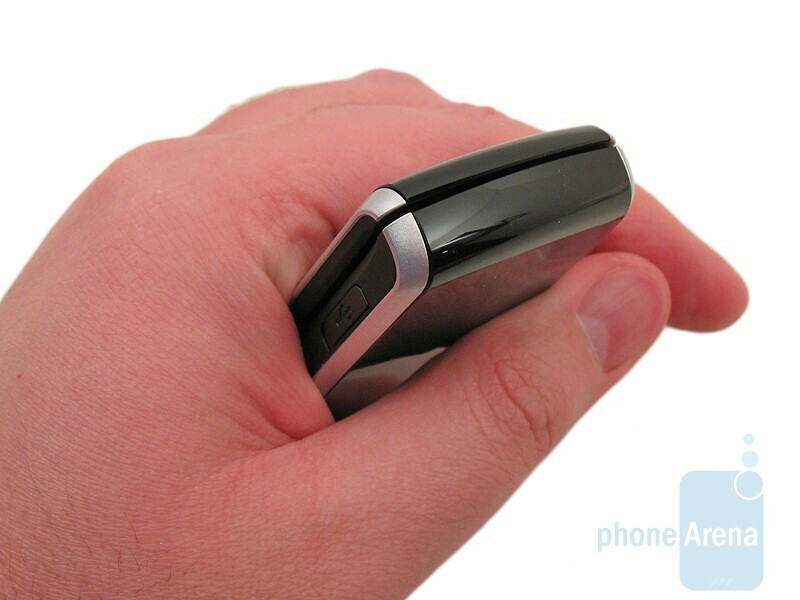 You have to use a fingernail or pen to get under the plastic to pop them off the phone, but you have to be somewhat careful not to break them. You then press the new ones into place. It’s a novel idea, but since they are flimsy, we’d recommend just leaving them alone. Overall, the Nokia Shade is reasonably stylish for being a budget phone, but still does not compare to the Nokia 7205 Intrigue . 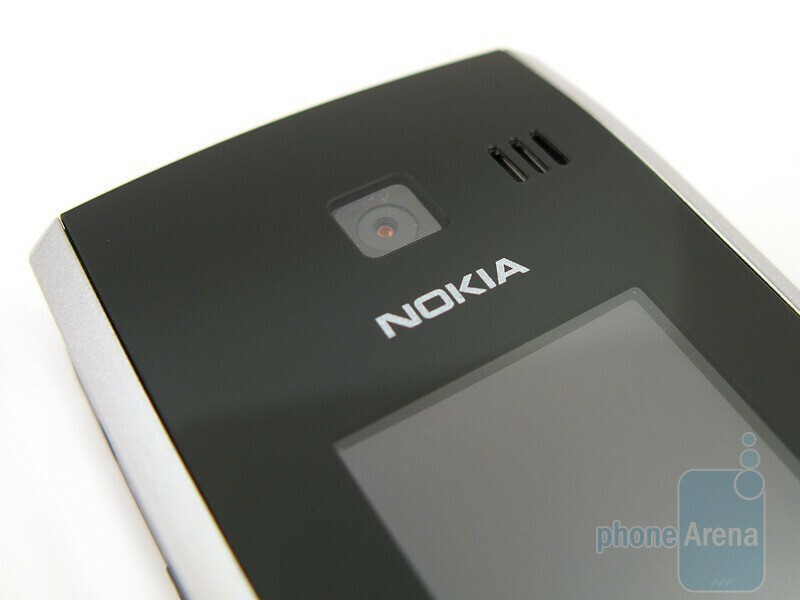 You can compare the Nokia 2705 Shade with many other phones using our Size Visualization Tool. Located on the font is a small 1.36-inch 128x160 resolution external display. You are able to use your own wallpapers with it, but for some reason the external display is darker than the internal one. 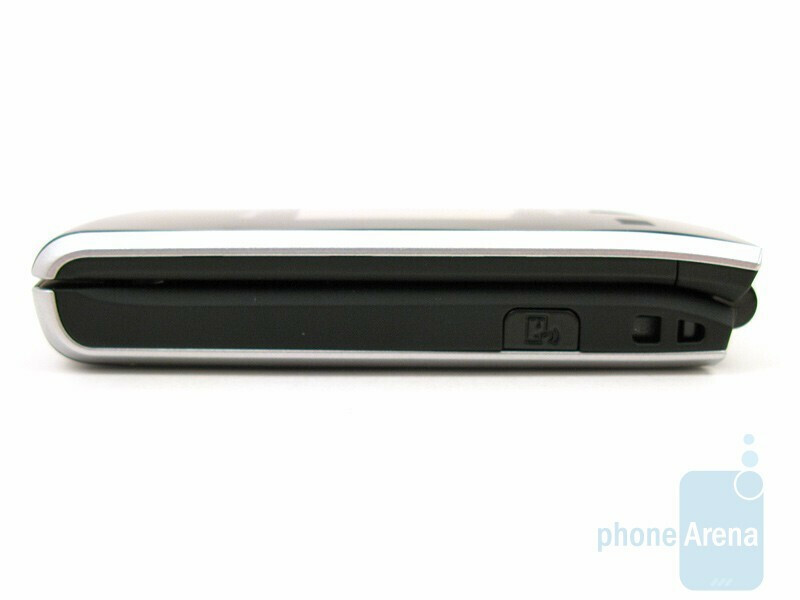 Above it are the 1.3MP camera (if you purchase the camera model) and speaker, with the volume rocker, 2.5mm headset jack, microUSB data port, and voice command . Unfortunately, a microSD memory card slot remains missing. 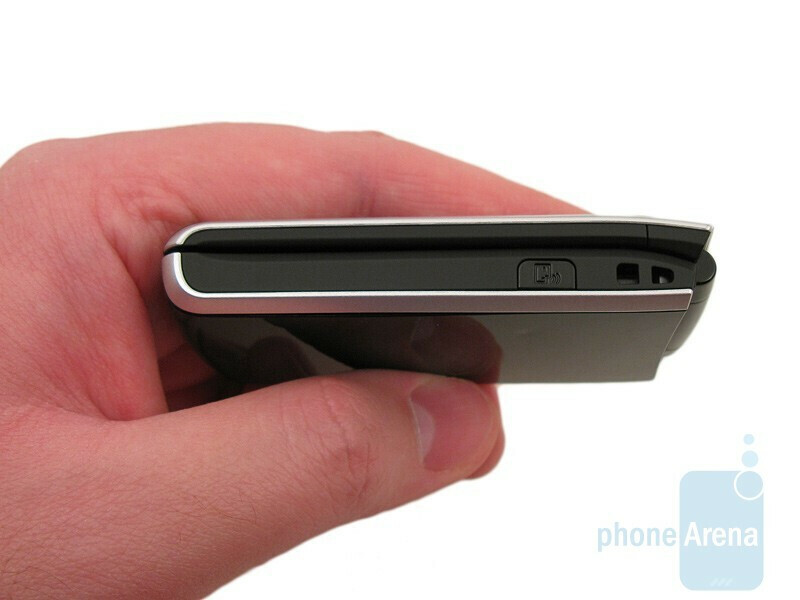 The Nokia 2705 Shade opens and closes smoothly and the hinge feels durable. The internal display is now 2 inches and has a resolution of 176x220, as the Mirage has a smaller 1.8 inch display with 128x160 resolution. Despite the Shade having a slightly larger display, images and text still appear pixelated and have jagged edges. This is one area where the QVGA display on the Glance does a better job. 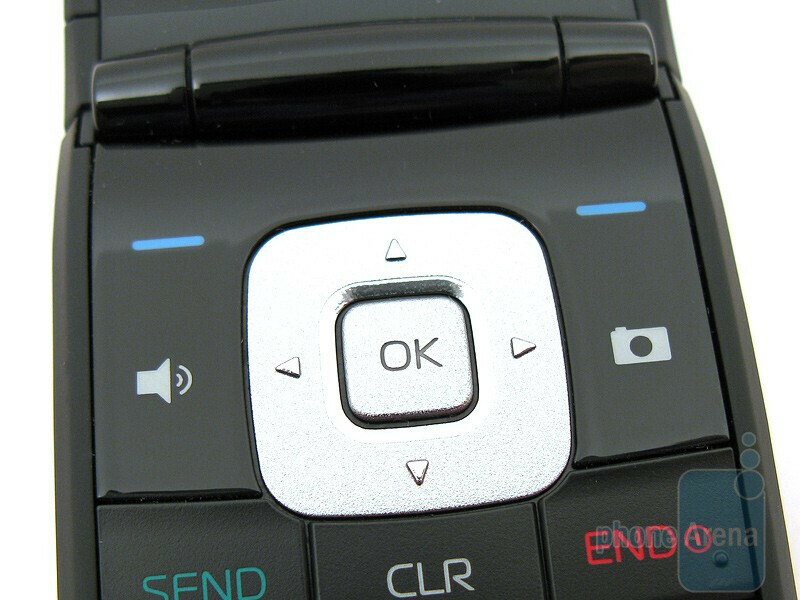 The d-pad on the Shade is of average size and we didn’t have any issues when using it, though the one on the Nokia Intrigue is much larger. 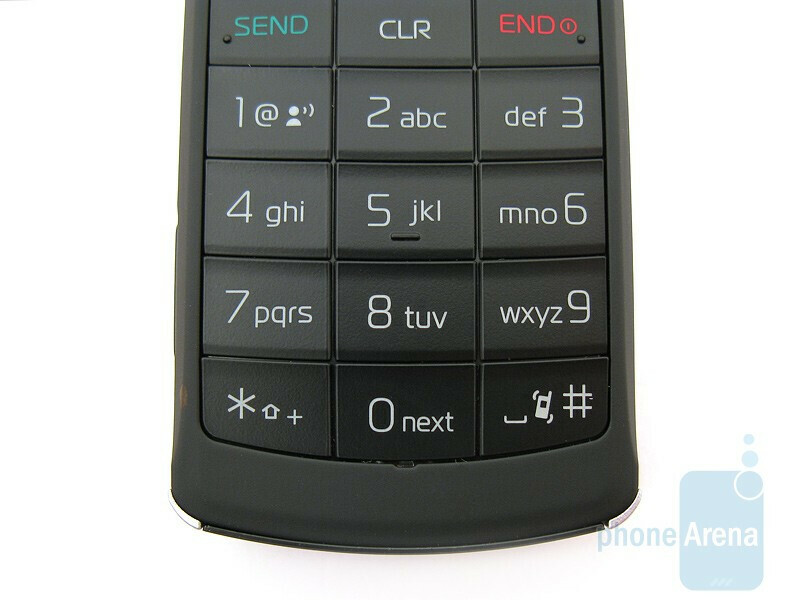 Below it is the numeric keypad with bright white backlighting. The keys are a bit smaller than the ones on the Nokia Intrigue and LG VX8360, but we didn’t have any problems using it to type messages with.